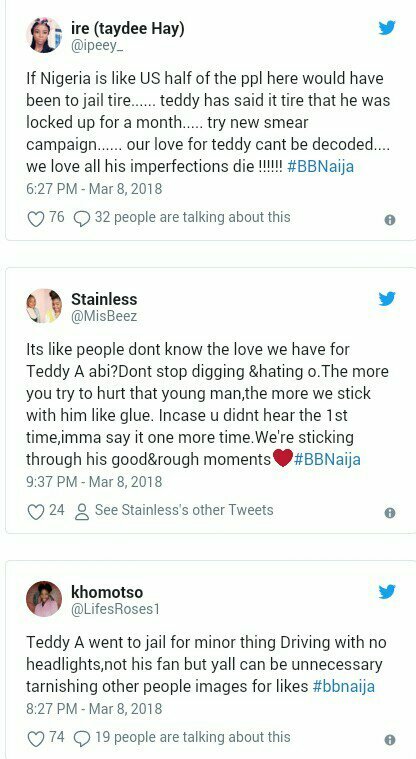 This year’s edition of the Big Brother Naija 2018 reality show is almost at the midway point and the drama is getting more intense as the days go by, both inside and outside the house. 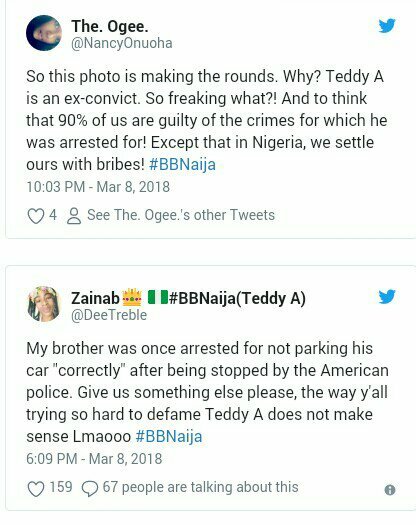 Fan favorite Teddy A has been talked about the most this evening and surprisingly, not for his actions in the house. 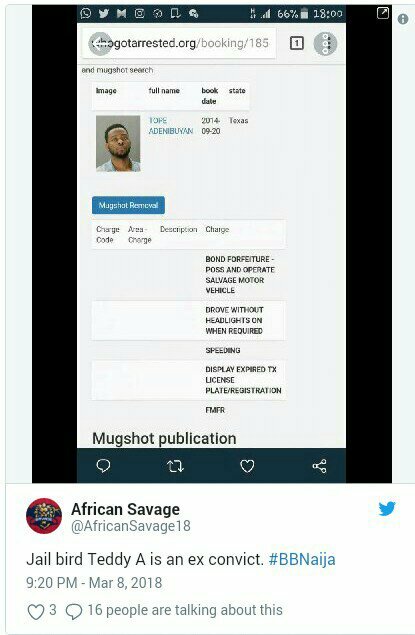 Apparently, details of his past arrest records in the US leaked online and fans are having a field day discussing it. 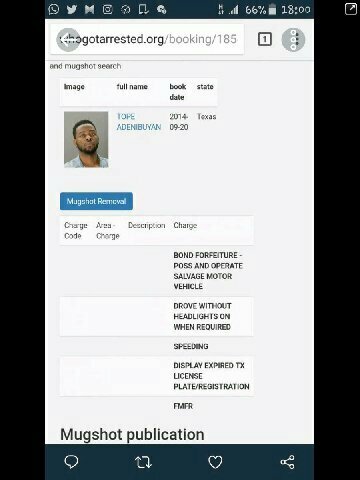 According to Who Got Arrested, Teddy A whose real name is Tope Adenibuyan has been arrested three times in Texas for offences ranging from driving without headlights, speeding to displaying expired License Plates & Registration. This has caused quite the discussion online as his fans are defending his actions while others are condemning it.